Frieda was wild born in Asia in 1966, captured and separated from her family at a young age and sent to America for a life performing in circuses. Like many elephants at the Sanctuary, finding records on her early years has proven difficult. She spent the majority of her circus years traveling with the Clyde-Beatty Cole Brothers Circus. One day, while she and the elephants in her show were being walked across a crowded parking lot to the main tent, Debbie (who would also retire to The Sanctuary), dropped out of line and chased Frieda through a parking lot and smashed through the plate glass window of a nearby Sears building. In 1996, Frieda was sold to Hawthorn Corporation, an organization that trained and leased performing elephants, but she was banned from travel and performing due to her reputation. Frieda was labeled a dangerous elephant and was kept in isolation. As a result of USDA prosecutions against the Hawthorn Corporation for violations of the Animal Welfare Act involving inadequate care and mistreatment of its elephants, Frieda, along with nearly all the other members of her circus herd, was transferred to The Elephant Sanctuary. 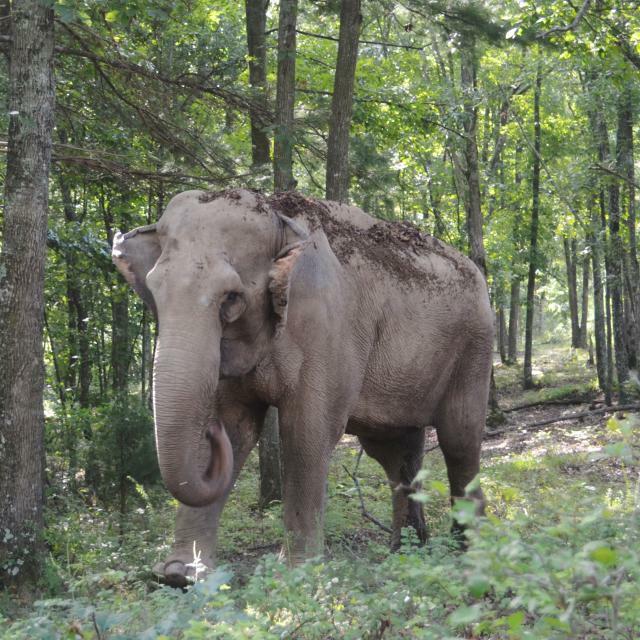 On February 9, 2006, at the age of forty, Frieda traveled with her barn companion Billie to become the twenty-second resident of The Elephant Sanctuary in Tennessee. They were the last of eight circus elephants rescued from the Hawthorn Corporation. Frieda arrived suffering from many of the chronic conditions of captivity and underweight at only 6,370 pounds. On arrival Frieda demonstrated had a very healthy appetite by helping herself to Billie's welcome smorgasbord of produce and hay, too. Over the next six months with an endless supply of fresh grass, produce, hay and grain, Frieda gained more than 1000 pounds! She continued to be monitored and treated for foot disease, arthritis and exposure to TB. Frieda was best friends with Liz and Billie. She was extremely vocal and, contrary to her reputation as a dangerous elephant, was surprisingly affectionate. She became known as the "Trailblazer," leading Liz and Billie down new paths to explore more of their habitat. 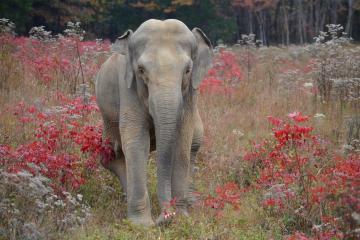 Frieda was part of The Sanctuary family for nine years. She was humanely euthanized March 9, 2015 at the age of 49.